The son of an architect and an engineer, Patrick May's been emersed in design his entire life. Since opening Patrick May Landscape Design in 2001, Patrick has emerged as a sought after, high end residential landscape designer. Patrick prides himself on delivering beautiful, innovative landscapes that fit his clients tastes and lifestyle. A Southern California native, Patrick has honed his craft through years of education and hands on experience, working with some of the best in the industry. 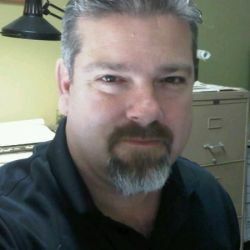 After obtaining his AS from Fullerton College in 1991, Patrick worked as a Draftsman for PurkissRoss-RSI working on both residential and commercial projects. 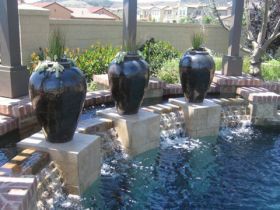 He obtained his BS in Landscape Architecture from Cal Poly-Pomona and moved on to a Lead Designer position with a respected landscape installation firm doing high end residential landscape design. Finally, Patrick worked for years as a Lead Designer for Emerald Design. 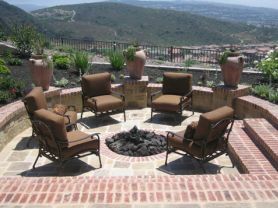 Since it's founding in 2001, Patrick May Landscape Design has developed landscape enviornments for many of Southern California's finest residences. When not designing and overseeing his projects, Patrick is a devoted husband, father and Angels fan.